Safe for toys provided that suitable fabric is used and they are fitted correctly. Not recommended for making toys for children under the age of 3 years. 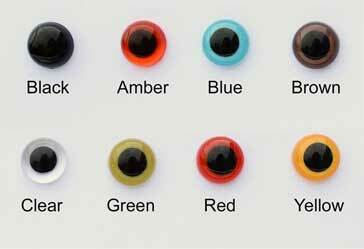 These are the better quality eyes with a metal washer. Available in plain black or a selection of colours.